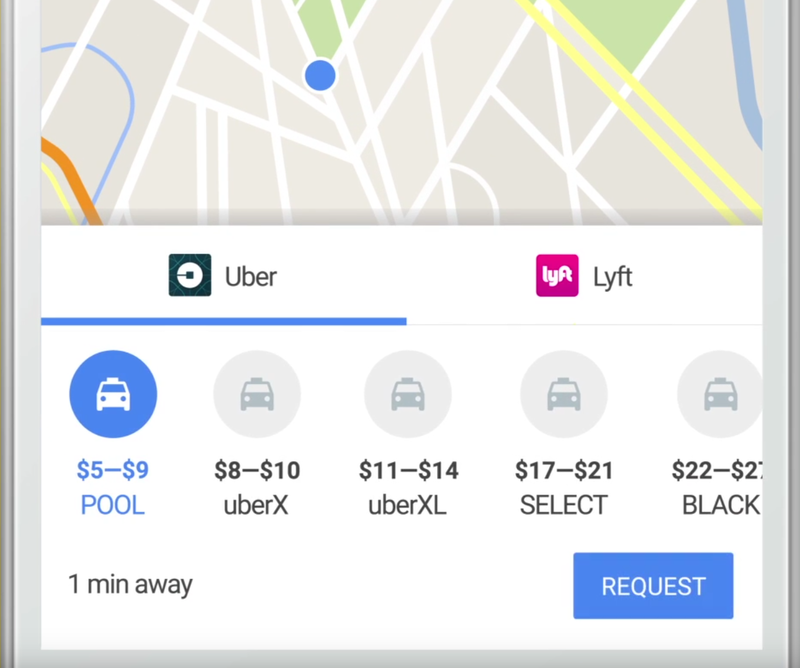 Google today announced a small update to Google Maps that makes it easier to hail a ridesharing service like Uber, Lyft, Gett or Hailo from the app. With this update, Google Maps now feels a bit more like the native apps those services already offer. Instead of showing you a list with only a few ride options, the app now shows a map with the location of nearby cars and a larger list of options for each service (no word on whether the UberChopper will ever make an appearance in this menu, though). With this update, Google now also lets you book an Uber and pay for it directly from Google Maps without ever leaving the app. You do need an Uber account, of course (or sign up for one), but that’s about it. As Google notes, you don’t need to have the Uber app installed for this to work. It’s worth noting that Apple Maps, too, has had the capability to order rides with both Uber and Lyft since last September. Uber makes it relatively easy for developers to build this kind of integration into their apps. The company also offers its API partners a rewards program for signing up new riders. It’s unclear whether Google is participating in this or if it has worked out another deal with the company. Google Ventures (which is now simply called GV) made a large and relatively early investment into Uber in 2013, though, so Google does have a vested interest in Uber’s success. Google says these updates are starting to roll out today. They will be available globally for Google Maps users on Android and iOS.